This Divergence scalping system is based on two divergence indicators and works on the all time frame. Here I show how it work at the time frame 5 min. 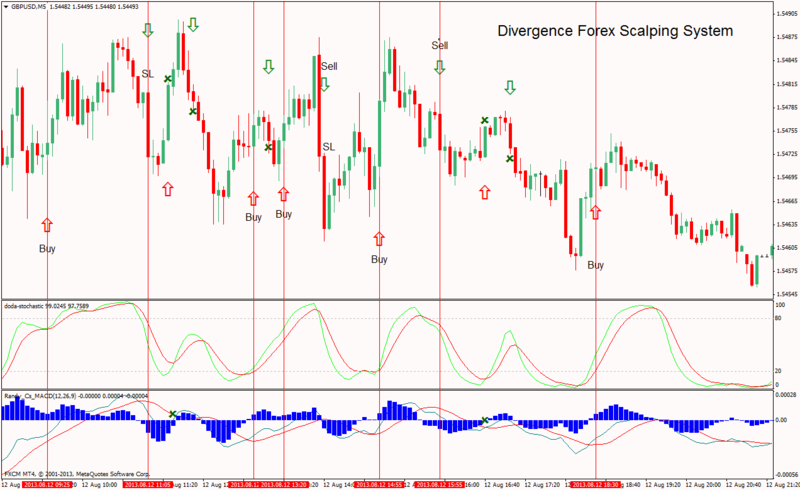 Doda Stochastic indicator ( 5,13, 5 setting for 5 min and 15 min time frame, for other time frame the setting is 5, 8, 5). Fast Profit Target 6-12 pips. Stop loss 8 pips above or below the entry bar. 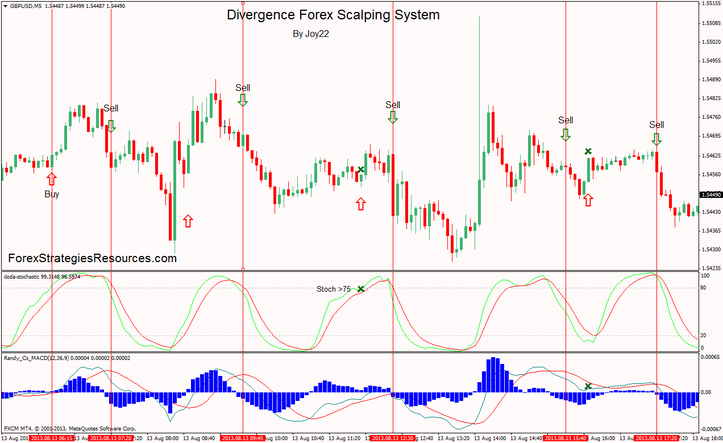 In the pictures below Divergence Forex Scalping System in action.